All Terrebonne homes currently listed for sale in Terrebonne as of 04/19/2019 are shown below. You can change the search criteria at any time by pressing the 'Change Search' button below. If you have any questions or you would like more information about any Terrebonne homes for sale or other Terrebonne real estate, please contact us and one of our knowledgeable Terrebonne REALTORS® would be pleased to assist you. "Ranch at the Canyons Tuscan Estate. 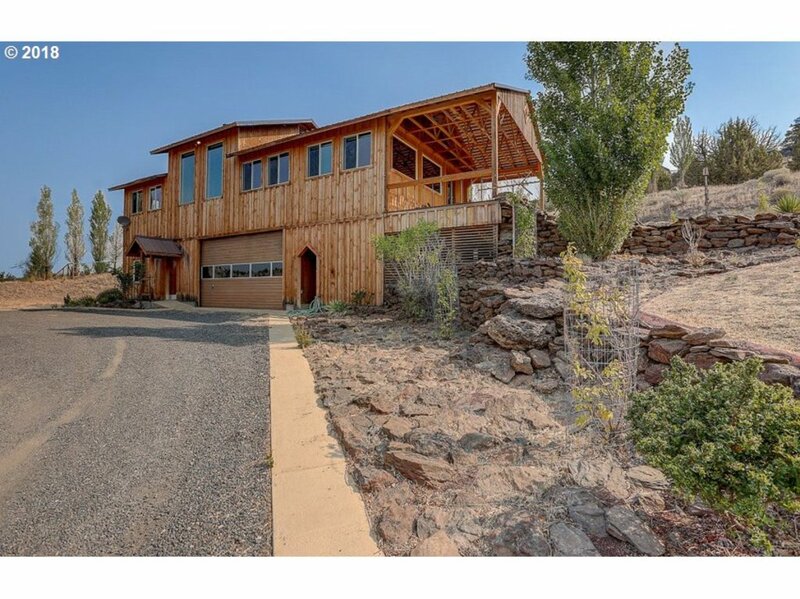 Private Retreat with Views of Crooked River, Monkey Face & Smith Rock. Custom 4527sf 2 bed, 4 bath home with quality finishes. Ranch Amenities include: 1700 acres of meadows, farm, vineyard, river canyon, hiking/biking rails, clubhouse w/ pool, stable, stocked ponds & Cascade Mtn Views." "Updated home with unobstructed views of Smith Rock and the Cascades. Updates inc. new windows, doors, flooring, paint, bathrooms, kitchen, wrap around deck, patio in back w/ covered BBQ cooking area, also patio space in the front. Garage w/ insulated pump room/well head, barn, 2 insulated lg Huts/rooms w/electricity. 3 add'l bldgs. Property has mature fruit trees, lavender gardens, veg. garden & pond!1ac irrigation rights." 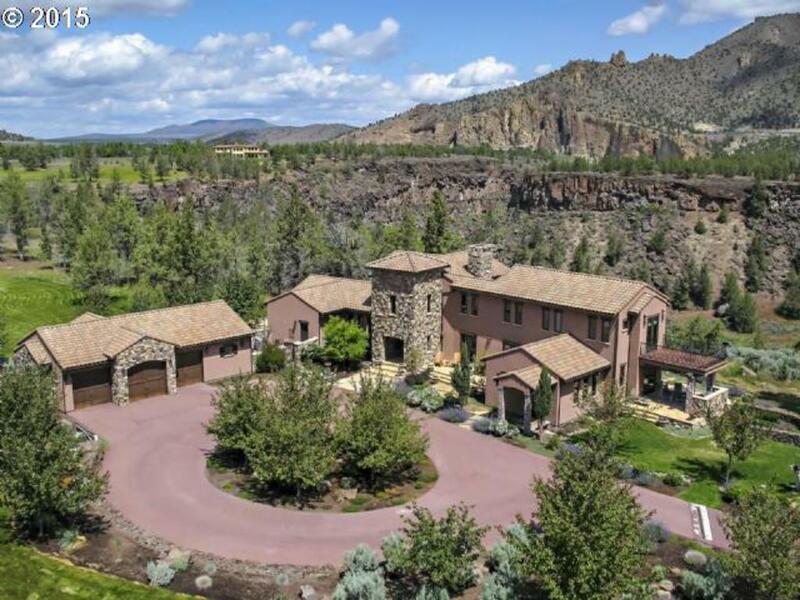 "Amazing Cascade Views Sitting Above the Deschutes River Gorge! Custom 2000+sf Home & Guest House on 5+ Acres & private top of the hill'' 3Bd/2.5Ba in CRR: wood siding, Blue-Pine interior & wood plank floors, great room w/wd stv & window-wall views, sep family/sunroom, country kitchen w/SS-appl & dining room w/pass-thru, main level master w/pvt bath, walk-in + views, covered view deck, 2+car-garage w/10' door & shop area, det guest house"
"Turn-key small acreage animal property with all the added benefits of CRR amenities. This 3 bed/3 bath Hm has 2160-sqft w an additional 2200-sqft of Trex deck outdoor living space w lrg pergola & Hot tub - perfect for entertaining or relaxing. Vaulted ceiling throughout the home w Skyview windows add abundant light & increase the feel of the rooms. Great room concept w kitchen open to both front entry room & living room w french doors." "Lovely 4.37-acre property with lots of privacy. Fenced and Cross-fenced with electric gate, lovely front yard and shale walkway, leading to covered entry. To the rear of the home is a spacious, approximately 900 square foot deck, perfect for entertaining. Double garage is attached, with man-door to the interior. Double carport provides cover for additional vehicles of toys. Automatic start propane generator is connected to home." "Incredible Smith Rock and Cascade Mountain Views! Come build your dream home or make this VERY well kept house with newer flooring throughout, updated bathroom and added bonus room your new home. With just over 3 acres, there's room for horses, a shop, barn and much more. The possibilities are almost endless. Come enjoy the Peace and Beauty this property has to offer! Professional photos to come." "MUST SEE! 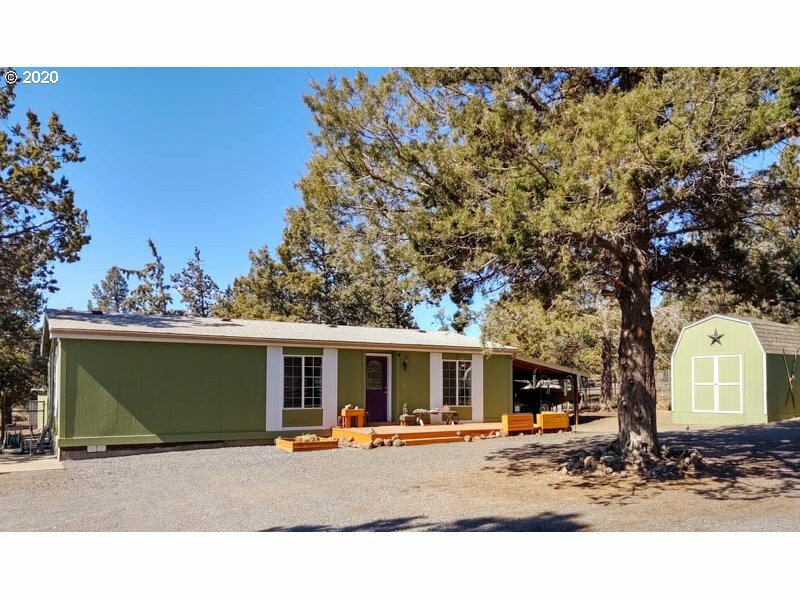 This super quiet and peaceful home sitting on 1 Acre in Crooked River Ranch. Home is light and bright with a new skylight in the kitchen which also includes Stainless Steel Appliances and a Farm Sink. There are decks front and back, including 2 10X10 storage buildings. There is plenty of room for your RV and Toys. The property is fenced, and cross fenced which would make it easy to set up as a horse property."